Hello! Bonjour! Hola! Konichiwa! Buon Giorno! I hope that you have been having a wonderful summer! 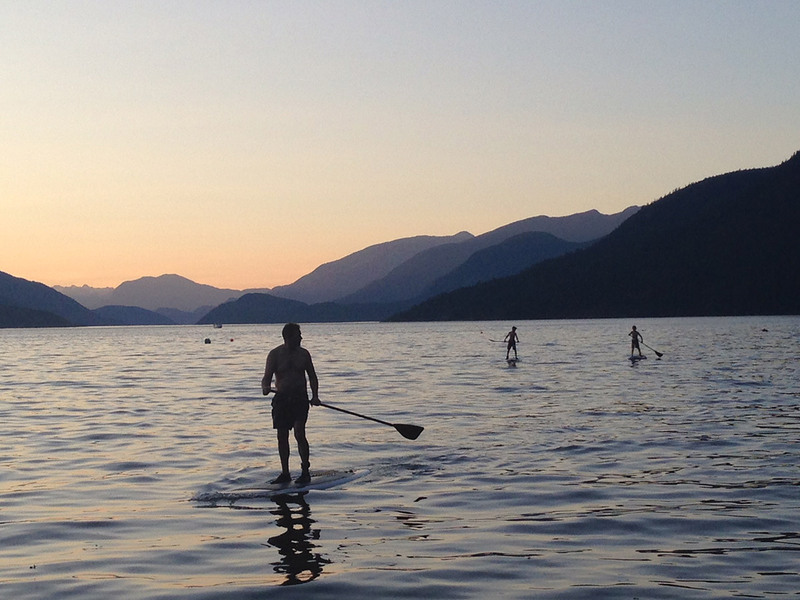 Recently, I moved from Richmond, BC, Canada to Sechelt on the Sunshine Coast. I now need to take a 40-minute ferry boat ride to visit Vancouver. I miss being close to my friends and family, but I am making new friends and now live on the ocean. I love to swim, and my family members have been learning to paddleboard. Here is a photo of my son, Thomas, and my grandsons. The water is very clear here and we love exploring the beach. My home is surrounded by forest with interesting wildlife. Yesterday morning, there were two deer and a little fawn in my garden, nibbling my flowers. They are lovely, but I wish they would only eat weeds, like dandelions, horsetails, and brambles! Here is my song about the deer in my garden. He’s nibbling the snapdragons, too! And all the strawberries are gone. Why don’t they like dandelions and nettles? Why don’t they eat all the horsetails and brambles? What can I do to protect all my flowers? And teach all the deer to eat weeds? 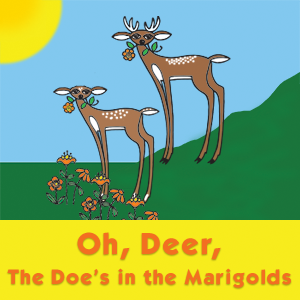 Oh, Deer, the Doe’s in the Marigolds is now available on my website as a song download in MP3 format! I think that we are lucky to have wild creatures around us. Even tiny insects are interesting. For my Family Concerts, I love to sing, “Lucky Streak” to get everyone dancing! That’s all I really need, I guess I got a Lucky Streak. I’m satisfied with what I’ve got, I can still make lots of noise. I’d give it to someone who needs it, someone not as lucky as me. I love listening to the birds and imitating their whistles and songs. 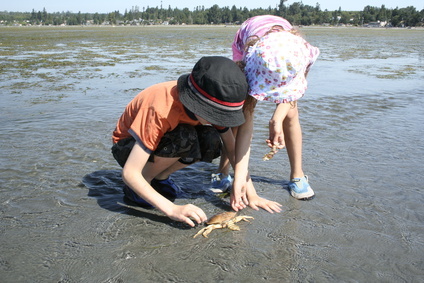 I also love exploring the seashore, looking for slippery fish, clams, oysters, crabs, sand dollars and sea stars. “Ottie the Otter” likes to eat some of these. Do you like to swim? I enjoy being “in” the water as well as “on” the water in a kayak, canoe or paddle board. Remember, to put on your sunscreen and a hat! big and small, I love them all! Dance and dance and dance! Roll and roll and roll. You can learn this song in French and Spanish, too! 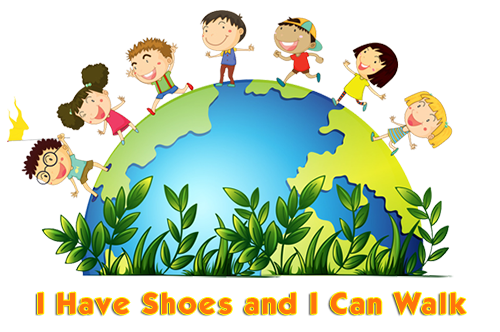 On YouTube or on my website, search: “J’ai des souliers, je peux marcher” (French) and “Tengo Zapatos Para Caminar” (Spanish). Did you miss out on the free song download? 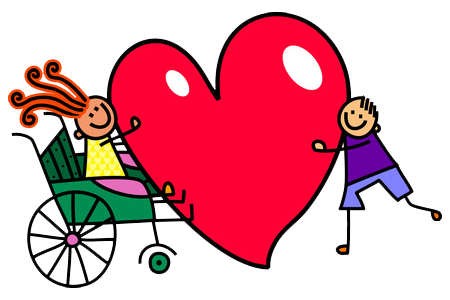 Click here to subscribe to the Hug Bug newsletter and you’ll be among the first to learn about our special offers! I hope you enjoy listening to my new song! 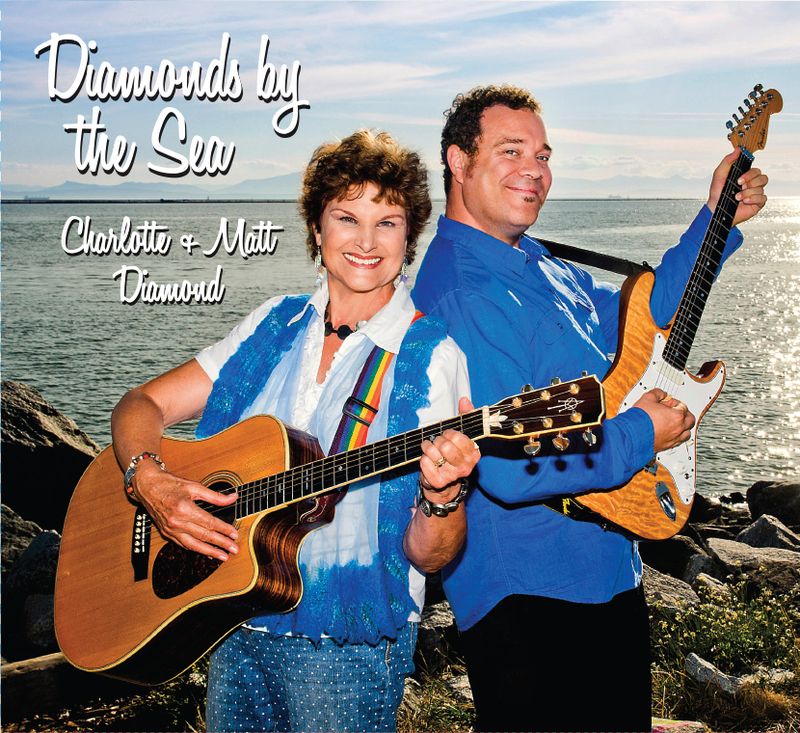 Listen to clips of other new songs from “Diamonds by the Sea” on my web site. All the words for the songs are there, too. 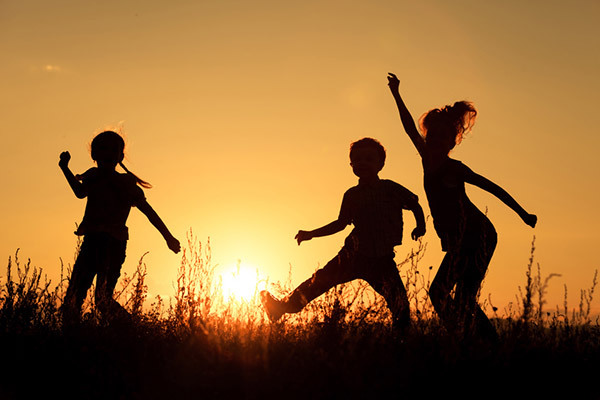 Playing outdoors keeps us happy and healthy. “Put the Beat in Your Feet”! I love to receive your letters and drawings. Write to me anytime and send your ideas to me by email or visit my Charlotte Diamond Fan Page on Facebook. I always write back!